What to do before filing a divorce? Home Divorces What to do before filing a divorce? There is a lot of information provided in the OC Superior Court websites about which forms to choose and which steps to take going through proceeding. There are also self-help centers that may assist you to filling out the divorce forms. The positive side of doing it yourself is you save money. – preparing stipulated (agreed) judgment and so on. What to do before filing a divorce is you have a time deficit and do not want to learn how to do it yourself? 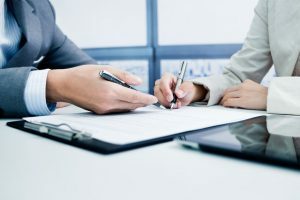 The important point is if paralegal assisting you she or he should do it under the direct supervision of an attorney physically present in her office. The positive side of this it much less expensive and usually faster and more efficient than hiring an attorney. The negative side is a paralegal cannot give you a legal advice and very often in the process of filling the forms you might not be certain how to properly divide community property and eventually the paralegal will make you work with a family law attorney. An LDA provides a help similar to paralegal, except there is no need for an attorney’s direct supervision. An LDA is a certified paralegal, licensed, bonded and has an ability to provide services to the public without attorney supervision. If you choose to use our help in a divorce, we will do our best to make the experience as pleasant, easy, inexpensive, fast and trouble-free as we can. What to do before filing a divorce if you think you might have a disagreement with your spouse about division of your property, spousal or child support? We will help you negotiate peacefully without pressure and stress on your children. Call Angela to begin a new chapter in your life.